"Watch out that no one deceives you. For many will come in my name, claiming, ‘I am the Christ,’ and will deceive many. You will hear of wars and rumors of wars, but see to it that you are not alarmed. Such things must happen, but the end is still to come . . ."
Jesus’ warning still echoes down the ages. Deception, war, plagues, pestilences, persecution—all would be a part of the last days. And every day we witness more and more evidence that the end is near. But how much longer will time last? What are the key events that will shape the end of this earth’s history? Is it possible to survive? Find the answers you have been searching for (and ones you never expected to find) in this Bible-based study that reveals the solid truths about the end-times. Throughout the journey you will find that it’s not so much what you know as who you know that will not only help you survive Armageddon but also look forward to it with joy! 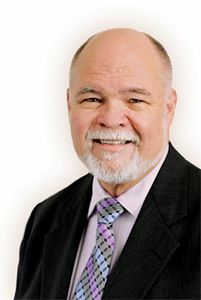 John C. Brunt served as the senior pastor of the Azure Hills Seventh-day Adventist Church in Grand Terrace, California, for almost fourteen years before he retired. He also worked at Walla Walla University, where he taught for nineteen years in the School of Theology and served 12 years as vice president for academic administration. He has written twelve books and more than sixty articles. He is a graduate of La Sierra University, Andrews University… and holds a doctorate in New Testament from Emory University. He and his wife, Ione, have two grown children and three grandsons.